How Can a Student Make Money Using eBay? It is very important for students to have a clear strategy when they are trying to make money on eBay. Doing your homework will absolutely pay off when it comes to making money on eBay. The first idea is to see what older items you have that you would like to sell. Then, it is wise to take a look at what those items are selling for and how sellers in eBay are currently listing them. When setting up your auction, it is important to have it end when your buyers are online, which means having it end on weekends and not during the middle of the night. When considering your first price, it is best to list it at $0.99 and then to have a reserve price. This will get your item more views and if it does not sell for what you want, you still can list it again. Take very clear pictures of what you are trying to sell so your buyers will gain your trust. On your first few sales, make sure you ship quickly and that your item is exactly as it is described. This will help you to build your feedback score to remain competitive amongst buyers. People are quickly realizing that it is quite easy to sell items on eBay for a profit. One such example is former student Nicolaus Wolfrum who decided to sell used and remanufactured inventory from his father’s automotive machine shop in addition to new inventory that the machine’s shop providers would provide. Due to the success of Wolfrum’s eBay store, he was able to focus on his studies and have a way to afford his expenses in college while making a decent profit on the side. As a result of Wolfrum’s incredible success, he was selected as a finalist in the Young Entrepreneur category at the eBay SHINE Awards for Small Businesses. Wolfrum is a great example of someone who found an unexpected revenue niche while in college and may have even found his career as a result of starting a business on eBay while in college. How Much Time & Money Should You Invest on eBay? What is important to understand about selling on eBay is that it does cost money to list items. It also costs money to have perks on your listing. What you have to weigh is whether the projected selling price of the item is worth the listing fees and PayPal fees required to complete the sales transaction. Generally, you should budget 20-30% of the selling price to eBay in fees. In terms of timing, using eBay’s App is faster to list items. Investing time and money on eBay sales absolutely is worthwhile while you are in college. Consider giving eBay 15-20% of your time to generate a nice little side revenue stream while in college. Selling on eBay provides many opportunities for college students to earn extra capital while in school. If students sell their old items or use extra income they have to invest in stock to sell on eBay, they may be able to build a sizeable business on eBay that goes beyond covering expenses while in university. The key that each college student has to consider is which kind of items they are able to sell that they have either a passion for or an expertise in. In Nicolaus Wolfrum’s case, his passion for car parts ended up creating an incredible business for him that covered his college expenses and later, launched into a possible career path. Today, the potential for entrepreneurs to get started while in college is phenomenal. By considering which platforms are possible to make additional capital on, individuals have the potential to start their own business through successful sales without having to take out traditional business loans. While in college, it is absolutely worthwhile to consider how to use eBay to increase a student’s quality of life or overall profit. Life in America is more expensive than it ever has been. Food, healthcare, transportation – the costs of these necessities and others have shot up considerably over the past generation while wages/salaries have remained stagnant. This hasn’t stopped Americans from living their best lives, though. Where incomes are not able to afford things outright, credit cards have filled the void. Near zero interest rates and subprime mortgages/car loans have convinced people to buy properties/vehicle they couldn’t otherwise afford. Similarly, easy access to student loans has helped young people to overcome the soaring cost of education. Costing less than $1,000 USD/year in 1980, today’s students shell out more than $20,000/year on average. If education tracked inflation, students would be paying approximately $2,100/year to go to school. As a result of this lofty numbers, many students graduate with five or even six-figure debt burdens. This is a troubling trend, as student loans are exceptionally difficult to discharge through bankruptcy. In this post, we’ll define the student debt problem, discuss ways to keep this number low, and you can pay down your balance as quickly as possible post-graduation. Unless you have wealthy parents, you’ll probably have to apply for a student loan. The days when you could pay for your tuition by working a summer job are long gone – average tuition costs at public universities have now crept above $10,000/year. Good luck finding a gig that pays $2,500 per month, never mind one that allows you to save that amount. The stakes have never been higher. The employment market, despite low unemployment rates, is a tough one, as Millennials and members of Generation Z are competing for an ever-shrinking number of lucrative positions in fields like tech and engineering. Unsurprisingly, students are under an enormous amount of stress these days. They devote as much time as possible to their studies, only taking time for extracurricular activities that complement their resume. To score a decent-paying entry-level job, getting top grades is a must. Those who miss out are left to take whatever jobs they can find. Many of these positions are only available on a contractual basis, are poorly paid, offer few (if any) benefits, and have schedules that don’t guarantee set hours from week-to-week. These are just a few of the factors working against students nowadays. Yet, given the paucity of opportunities for those with high school diplomas, many young people feel like they have no other choice but to take on a five or six-figure debt load – and hope it all works out in the end. So, you need to take on debt to finance your post-secondary education. This doesn’t mean you are doomed to a life of wage slavery, though – by adopting a few crucial habits early on, you can avoid drowning in an ocean of red ink after college. (1) Avoid credit cards – Avoid credit card peddlers like the plague. These predators lurk in student centers and unions at the start of every school year, hoping to prey on the ignorance of those who lack life experience. Listen – you’re already tens of thousands of dollars in the red. Going deeper in the hole will only make things worse. When you look at the fine print, you’ll find that these cards charge absurd interest – 20-30% annual rates are not uncommon. Fail to pay off your balance once (one crazy night at the bar is all it takes), and charges will add up faster than you could ever imagine. Live within your means – if you don’t have the cash for something, don’t buy it. (2) Get a part-time job – As discussed earlier, some students feel the need to devote themselves fully to their studies. As a result, they don’t think they have room in their schedule to accommodate a part-time job. It’s possible to excel in your studies, belong to a club, and be employed – it’s all in how you manage your time. Parkinson’s Law states that any task will expand to fill the time frame allotted for its completion. Working 15-20 hours per week will limit the amount of time you have to write papers, do homework, and study, forcing you to focus on the essentials. This will not just improve your finances, but your grades as well. According to a study conducted by the Bureau of Labor Statistics, students who worked 20 hours per week or less logged an average GPA of 3.13, compared to the 3.04 achieved by their jobless counterparts. Pair that with the $150-$200 per week a good part-time gig can get you, and you’ll get through college in better shape than many of your classmates. (3) Refinance your loan – Most young people have little to no credit history. As a result, interest rates charged on student loans can be shockingly high. Fortunately, this can be fixed soon after graduation; about a year into your first job, shop around for a financial institution that will refinance your student debt. Having your rate dropped from 6% to 4.5% will save you about $750 per year in interest payments, amounting to $15,000 over a 20-year repayment period. Adopting solid financial habits in college will set you up for the rest of your life. By keeping yourself busy in school, you won’t be fazed by work projects that overwhelm many fellow entry-level workers. This will help you stand out to your superiors, paving the way for a promotion early in your career. Additionally, there is enormous pressure to keep up with the Joneses post-college. By resisting the temptation to have the latest cars, clothes, and gadgets, you’ll have all the money you’ll need to pay off your student debt ahead of schedule. Habits, good or bad, have a ripple effect. By sowing the seeds of responsible time & financial management, you’ll reap a bountiful harvest in the years and decades to come. Finding a job that works around a crazy college schedule can be difficult. But many students need the extra income to help cover tuition, books and other living expenses while in school. Many have taken to the idea of work that has flexible hours and the ability to work at home or on the go. Several different options are out there for the taking for just about any college student or individual willing to do some work to make some money. Some people have opted to use their cars as a means for making money through Uber or Lyft. Another option is to blog or create a YouTube channel. These two options are similar in their means that they can be done anywhere and at anytime. YouTube provides an easier platform for gaining an audience, since people will use YouTube like Google as a search engine for videos. You have decided to create a YouTube channel to help cover costs of school, but you need to find an idea that you are capable of doing with little to no research. Something you can record and do on the fly… There are tons of ideas out there already! Just because the idea is taken absolutely does not mean you can not copy it and create your own audience. With personality and a good idea people will watch your channel. Where there is an audience, money can be made! If someone else has already done it, it can make it easier for people to find your channel while they are searching for the other popular channels. Live streaming of video games: Gamers will watch other games, just like people watch football on Sundays. It may seem strange but it’s true. Bloopers: Video yourself trying new and strange things or products some may be successful ventures, but the ones that will get you the most views are the ones with unfortunate mishaps. Cooking: Young people no longer have access to home ec. classes and people now use YouTube videos to learn how to cook. This gives you three different options a day seven days a week as chances to build your portfolio on your channel by recording what you were going to do anyway: cook and eat! Your audience is worldwide, and the ideas are endless! The ability to work from home or anywhere is great! However, as any successful entrepreneur will tell you, the work can take over. While you can work anywhere anytime, it doesn’t mean you should or have to. Many entrepreneurs find themselves working 80 hour a week for themselves instead of setting limits. While you CAN work anywhere and anytime it isn’t always the best way to get ahead. Working for yourself can also be lonely, while many people are watching you, you actually aren’t getting real social interaction that you need to maintain a healthy lifestyle. Be sure to get out of the house, your basement, your office or where ever you record and enjoy life outside too! Once your channel starts getting views and then you can eventually start earning an income. You can do it through advertising, subscriptions, selling your own merchandise et al. Your channel can be a great source passive income on past work, but you want to keep moving forward because the fad of your channel may lose its luster and the income could eventually dwindle away. It is rare that people become multi-millionaires through their channels, but don’t let that deter you from trying to get a piece of the YouTube pie! 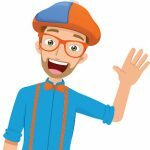 Blippi: This guy started making videos for toddlers back in 2014. He shows them places to play and how to play. Stevin John is Blippi and discovered that his nephew was watching low budget and low quality shows on YouTube and wanted to create something fun for him to watch. His desire to provide entertainment for his nephew grew to 2.8 million subscribers and has been viewed over 2.34 billion times! His background in online marketing and digital creation has definitely paid off! Now instead of a one man show, he has a team of people behind Blippi helping him make his videos. He has not lost that touch even after great success for engaging children in watching him on his channel. He is like the modern day Mr. Rodgers for kids who grew up in the 70’s and 80’s. He talks to you as if you are with him and takes you on his adventures. As a well loved child character he is regularly requested as a character to meet with Make-A-Wish Foundation. All of this in only 4 years! 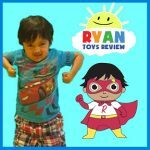 Ryan Toys Review: Ryan is a young child and his parents record him opening and playing with new toys. Thus, giving the public an honest review of toys from a child’s perspective. Ryan Toys Review started back in 2015, Ryan asked his mother why he wasn’t on YouTube when there are so many other kids that are on YouTube. She soon decided to leave her full time job as a chemistry teacher to work on building Ryan Toy Review. Clearly a good financial decision as of December 2018 the channel has seventeen million subscribers and the channel videos have been viewed over twenty-six billion times. The channel is ranked as highest paid YouTube channel for 2018! They only just started this 3 years ago. YouTube was a lifestyle changer for their entire family. They have now brought in his twin sisters to help review toys and doing regular child friendly videos. Philip DeFranco: This guy records himself talking about what he has read in the news and his personal reactions to it. With a totally different audience than the two previously mentioned YouTubers, DeFranco started his channel back in 2006. His subscribers are much older than the other two YouTubers, but this could also be because adults are much more likely to remember video channels without having to ‘subscribe’ to them. He has 6.32 million subscribers and has been viewed 2.51 billion times. He has been nominated for numerous awards and even won some as well, like Sexiest Geek in 2008 by Wired and a regular nominee and winner for the Streamy Awards from 2010-2018. He won in categories Best News Series, Best News and Culture Series, Audience Choice for Best Series of the Year, and News and Current Events. Each of these people once all started exactly where you are today. Their education and backgrounds did not impact their desire to build an audience and build it. The old saying ‘If you build it they will come’ if definitely true if you have a good idea and can deliver it in a way that your audience will want to watch! They wanted to make some extra money and be in control of their project. Anyone can start a YouTube channel. You don’t have to be skinny, beautiful or even talented! You simply need a good idea and a personality that people will enjoy watching. If you are an amateur baker learning step by step or if you are just talking about what upset you in the news today. People will watch! So get started today, and yes there is a video on YouTube on how to get started on YouTube! The typical 9-5 office job lacks the glamour it once had. It once provided the income, prestige, and fulfillment that once defined the American Dream – not anymore. These days, stagnant salaries, 12-hour work days, and piles of soul-crushing work are becoming the norm. No. There are people who still enjoy their careers in 2018, but many have chosen to build theirs from the ground up. The freelancing revolution is in full swing – by 2020, 43% of all workers in America will be self-employed. Want to join them? Below, we’ll talk about everything you’ll need to address before you can make your favourite coffee shop your new office. Writing, graphic design, web development – these are just a few areas in which you can specialise as a freelancer. To succeed, though, it is vital to research your target market’s needs. Or maybe you like being in front of a camera and create a Youtube channel. If hundreds of writers in a specific region are churning out the same content, it will be tough for you to make ends meet. On the other hand, finding someone who writes quality ad copy can be difficult. Specialise in this niche, and you will be able to earn much more per project than lower skilled writers. Whether it is writing technical documents for oil & gas companies, coding SaaS apps, or creating covers for e-book authors, a lucrative income can be found at the intersection of your skill set and the needs of the market. The temptation to undercut the competition can be overwhelming – don’t do it. First, most established freelancers are too well-connected to worry about having future work opportunities ‘stolen’ from them. Second, underpricing oneself can create a poverty trap that can be tough to escape from. To figure out a fair rate for your skill set, research the websites of colleagues who do similar work. If their fees aren’t displayed, contact them as a ‘customer’. This may feel awkward but remember – successful freelancers get dozens of e-mail messages every day. You will be far from the first person who ghosted them after sending over their rate card. If this bothers you, be transparent about your intentions – many freelancers are happy to help out their brethren. It is not enough to be on social media. A website gives self-employed professionals a platform to sell themselves to clients around the world. On it, you can break down the services you offer, showcase your work in a portfolio, display testimonials, and more. Don’t think you have the technical prowess to set up a website? It has never been easier for everyday people to get their own web portal up and running thanks to WordPress. Web hosts like Bluehost and HostGator offer a streamlined installation process that usually takes less than five minutes – you don’t need to be a nerd to set up a website these days. Can’t afford to set up your own domain? Establish a web presence for free on WordPress.com or Blogger. While we recommend having your own space, this is a quick way to get on the web for no cost. Once you are ready to show your site off to the world, optimise your site’s SEO, buy some Google Ads, get on social media, and print business cards – these steps and others will make it easier for clients to find your home on the web. As an employee, taxes are something you never have to think about. Every two weeks, the payroll department automatically deducts local and federal taxes, as well as entitlements. When you work for yourself, though, this responsibility falls squarely on your shoulders. 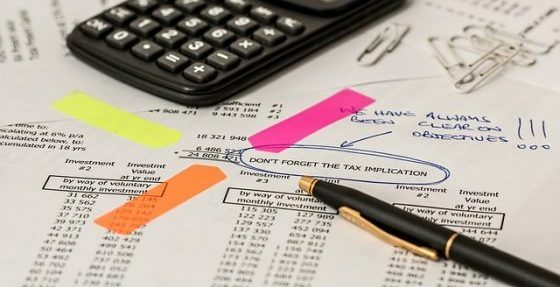 A newly-minted freelancer’s first tax season can be a painful one; not because of the amount they owe, but because they forgot to budget for it in the first place. Make an appointment with an accountant before sending out a single invoice. They will educate you on the records you’ll need to keep, quarterly filing dates (if applicable in your area), tax breaks, and so on. At minimum, calculate your effective tax rate and deduct this amount from your daily gross earnings. At month’s end, transfer everything that is owed into a segregated savings account. This way, you’ll avoid spending money that isn’t yours. Now that you’ve learned how to set up, market, and run your freelance business, it’s time to get some clients. With any luck, some may have already reached out via your website. If not, it’s on you to find them. But before calling or e-mailing every company in your area, take a second to think about the work you want to do. You may be an ace at building websites, but if banking bores you to tears, taking on clients in finance might not be the best idea. If you constantly check out houses on your morning jog, though, designing sites for real estate agents might be a better fit. Next, draft a solid pitch. Feel free to reuse it for multiple prospects, but leave plenty of room for customisation – nobody likes to receive a generic pitch e-mail they’ve seen dozens of times before. Cut to the chase – quickly explain what skills you bring to the table, as well as the specific value you intend to deliver. Keep a record of every business you contact. This way, following up unanswered pitches becomes easier. Most successful entrepreneurs are busy – sending them a gentle reminder two weeks later will increase the likelihood of a reply. Unless you have six to twelve months of expenses saved up, we don’t recommend quitting your job to start a freelance business. Instead, leverage your free time outside of work to build your practice on the side. This way, you’ll avoid having financial stress influence your decisions. Once you have built up an income you can live on (as well as the six to twelve-month buffer mentioned above), schedule a meeting with the boss and turn in your two-week notice – the real work is about to begin! We all learn math, science and English throughout grade school, and some of us go on to learn in college as well. One thing that no one gets the same lesson on is personal finance! Grade schools and colleges might have a class here or there about personal finance, but there is not a standard by any means. We each get our own lesson by watching our parents muddle their way through their own finances. The majority of us really do not want to end up like our parents, financially speaking. Approximately fifty percent of Baby Boomers have less than $100K saved for retirement and according to AARP Gen X has on average $125K in debt, which includes credit cards, school loans, and mortgages. This is a perfect example as to why young people today really aren’t interested in receiving financial advise from friends and family older than them! Young people today are apprehensive about taking on any debt and they are right to do so. Looking for classes or books on how to learn about personal finance really depends on your own personal situation and everyone’s situation is different from the next person. Everyone has their own advantages and disadvantages when it comes to where they start out financially in life. In order to help you navigate the vast amount of knowledge regarding personal finance, we have created a short list of a top 20 Personal Finance Blogs for young people to follow and learn from below. In no particular order here are finance blogs that may help you find your own personal financial path. Blogger Robert Farrington started writing in 2009 and averages 5 blog posts per week. His niche is helping postgraduates get out of debt and helping them start investing. Some of his most popular blog posts are: 3 Ways to Make $50,000 Per Year Without Working With Passive Income, 50+ Ways to Make Money Fast With a Side Hustle and Secret Ways to Get Student Loan Forgiveness. I like that he shares not only tips for everyone, but opens up and tells people what he actually uses for his own personal financial needs. Blogger Bridget Casey started her blog in 2012 and posts new entries several times a month. Her niche is in helping you figure out how to pay off your college debt and learn how to be in control of your financial life instead of being a victim of it. Some of her latest blog posts are: The Best Books to Gift a New Grad, How to Save a Down Payment for a House and How to Use the Debt Snowflake Method. She also offers e-courses. One of her courses Debt Crusher on debt elimination is free! Another course is on how to Build a Better Budget is pretty inexpensive at $47. Another course she offers is The Six Figure Stock Portfolio, which helps you learn how to build a portfolio. This class is $400, payable in two installments of $199 each. I love getting free debt advice and giving it as well. Joe Udo, formerly a computer engineer at Intel, said that the job became more and more stressful and he decided he needed to get out. He started Retire by 40 in 2010. He started his blog about his journey, mostly to keep tabs on himself to make sure he followed through and he was able to quit his full time job and leave corporate America in 2012. He now dubs himself Mr. RB40 says that just because he left the 9-5 does not mean that he does not work. He says he stays really busy with blogging and other things, like being dad and maintaining the house. He posts one to two times a week depending on his availability. Some of his most recent blog posts are School’s Out – First Grade is Over!, May 2018 Goals and Financial Update and Take a Peek Behind the Curtain – See How I Write a Blog Post. MR. RB40 shares his personal portfolio and his journey, and instead of starting out right out of college, this journey starts in his 30’s. With many people in different stages of life between their 20-30’s it is important to look at all pathways to being financial stable. His wife still works and they live off of his passive income, and Mrs. RB40 should be retired by 2020 and they will be living off his writing and their passive income. Kyle Taylor is the founder and CEO of the Penny Hoarder website, which started in 2010. The website / blog’s mission is to improve the lives of regular people by allowing them to spend less time worrying about their finances and more time living their lives. The Penny Hoarder employs over 90 individuals and has many different writers, but the blog concept is there. The different categories that The Penny Hoarder focuses on are: Making Money, Deals, Food, Smart Money and Life. In all of these areas readers learn about how to pinch their pennies and save either with coupons, side gigs, budgets or college. Some of their most popular blog posts are: 8 Legitimate Paid Survey Sites to Make Extra Money Each Month, 12 Ways to Save Money and Add $5k to Your Bank Account this Year and 31 of the Absolute Best Freebies We’ve Ever Found Online. With multiple blog posts per day, if you are looking for a specific topic I’m gonna bet they have covered it! Jonathan Ping has been sharing his knowledge about money and finances since 2004. He might post once or twice a month, but that’s because he is busy living and loving life! He and his wife cut back to being half time workers and their passive income is enough to cover their household expenses, but they aren’t ready to retire just yet. This blog is about preparation and learning about your finances and retirement. His most recent blog posts are: Airbnb vs Hotels Price Comparison Chart, How to Retire Happy, Wild and Free (book notes) and British Airways Fuel Surcharge Settlement. What I love about this blog is that he doesn’t claim to be an expert, just a man trying to figure it out each and every day. John started out adulthood like many do, with piles of credit card debt, and he has become debt free and is a veteran of the financial services industry as a stockbroker. He wants to spread financial literacy, so the more people understand how to live within their means. Some of the topics Frugal Rules covers are: frugality, investing, debt, credit cards and online brokerages. Some of the most recent blog posts are: Are Side Hustles Worth the Sacrifice?, 7 Best Ways to Sell Your Old Stuff for Money and How to Invest in Stocks When You Do Not Know Where to Start. I like that he owns up to his debt from college and says that he wasn’t aware of living within his means, because that is where many people find themselves regardless of their age! Knowing the next step to living within your means is an important one. Jeff Rose is a self-proclaimed numbers geek. If you don’t love this guy after reading his about me page, you should just stop now, just stop it. He has credentials but also personality. If you can make finances fun that is a talent in itself! His site also has a Retirement Income Calculator, which I know there are plenty of those online, but not all are found on blogs. Some of Good Financial Cents’ most recent blog posts are: 87 Super Easy Ways to Save Money, CIT Bank Review and Best Insurance for College Students. Still trying to make a difference and reach everyone, Jeff also has a Podcast that might reach more young people than his blog, because what young person do you know that sits down to read about financial literacy? While owning up to his failures he makes it fun to learn about finances what to do and NOT do, sometimes from personal experience. G.E. Miller started blogging in 2007. He believes he has solved the financial matrix and he spends less, has less but insists he isn’t missing out on anything. He posts a new blog entry about every week. Some of his most popular blog posts are: Money Savings Products I Personally Use, How to Pay Taxes with a Credit Card (and Profit) and The U.S. is the Most Overworked Nation in the World. I like that he started at the bottom, where most people find themselves when looking for a change in their finances. He moved for a higher paying job, he bought a smaller home; he sold his second car and started biking to work. He switched his purchases of products and services from ones that cost money to ones the create money. He talks about how to use your credit cards to earn cash back each month on purchases you are going to make anyway. This site was started in 2007 and while this blog site is more corporate run that is not to say that it doesn’t have some great information for young people. Great articles on getting started in investing, understanding your credit score and loans like mortgages or personal loans. Some of the most popular blog posts are: 5 Tips for Managing Bills as a Married Couple, 7 Summer Jobs You Can Do from Anywhere and Why We Bought a House When Renting was Cheaper. 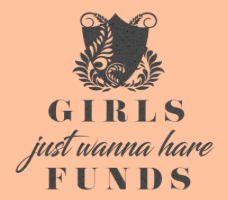 Ginger with Girls Just Wanna Have Funds for women entrepreneurs to use passive income to reach their financial goals. She started her blog in 2003 with the mission to teach women about how to earn their financial freedom because she has been there done that and wants to help you avoid those same mistakes! Some of her recent blog posts are Tight on Funds? Here’s What You Can Do!, 3 Ways to Fix the Mistakes of Your Younger Self and 3 Interesting Ways Other People’s Money Can be Good for Your Finances. While her site is geared towards young female entrepreneurs, that’s not to say guys can’t benefit from reading her blog too! Kelly Whalen a mother of four has been blogging since 2009, she started The Centsible Life as a way to keep track of all the advise she had been given and read up on for ways to get her family out of debt. She soon realized that her blog was helping other people just like her trying to get out of debt too. Blogging quickly became more than just a hobby for her! Her site covers all things life and money. Your finances are tied to your health, food, travel, etc so just about anything where you spend money or it costs money or you can save money in life, The Centsible Life will write about it! Ben Edwards started Money Smart Life in 2006 to share his story about being in control over his spending. His journey began when he was only 12 year old and wanted a Nintendo and his parents made him work for his money to buy it. He worked hard to earn the $150 needed for the system, but when it came time to actually buy it, he decided not to. He claims to have cracked the Konami Code and chose instead getting the game system to invest his money and how it became addicting to him to check everyday in the newspaper how his stocks were doing. While not all 12 year olds are going to swoon over getting stock for every birthday and Christmas, that’s exactly what Ben did. This gave him a financial edge over his friends after graduating from college he was able to cash in stocks and buy his fiancé a ring, put a down payment on a house and pay for their honeymoon. He was ahead of the curve because of the decision he made when he was 12 years old. What I love about this story is how you can use this same advise and teach your children and or use it as personal advice to start controlling your own financial future right now. Debt RoundUp was started in 2012 by Grayson Bell to help navigate his way out of debt and share his own journey at the same time. While Grayson isn’t a certified financial planner, he is a guy who dug himself out of debt one penny at a time. His site is to share his personal journey and provide tools to help you get started on your personal journey out of debt or learning how to manage and use their money to free them of the looming cloud of credit card debt. 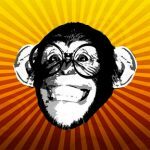 This site’s followers aren’t financial professionals but they are regular people sharing their successes, failures, struggles and ways they found worked! So if you are like Grayson and financed a Jetski and want to get out of the financial hole you are digging you will be in good company with the author and followers of this page. I might need to follow this one myself, as someone who went on vacation after losing my job and another time went ahead and bought the furniture when my roommate lost his job. Knowing you can make financial blunders and still get out of the hole is always good to know. Wise Bread is not rung by one person but instead a community of bloggers whose mission is help you live your life on a budget. The writers blog about Credit Cards, how to avoid them, how to use them to your benefit and how to manage them. They tackle the topic of personal finance and budgeting. They give tips on frugal living and life hacks and more. A few of their latest blog posts are 28 Free Ways to Entertain Your Kids This Summer, Best Money Tips: How Much You Should Spend in Retirement and These 8 Modern Car Features Are Riskier Than You Think. What is great about this site is that the community of writers have all kinds of different perspectives that they share while writing so while you might not agree with one blog post, there still might be another post that speaks right to you and your current situation. Just keep reading and see if you find a blogger or topic that is going to best fit what you are searching for! The Simple Dollar was founded by Trent Hamm in 2006 when Trent was tired of ‘trying’ to get out of debt and was ready to make it happen for good. While working on his own debt he felt inspired to help others do the exact same thing by sharing the tricks and tips that worked for him. Now with a staff to help run the site and contributing writers they have more than one post per day to help you learn how to plan your financial goals for credit cards, loans, insurance, investments and banking. Having multiple writers is a great way to be more relatable to your readers by having lots of different perspectives writing each day that have different backgrounds and can share their own struggles and successes. Some of their most recent posts are: Ten Inexpensive (and Quick) Ways to Liven Up Cooking at Home, The Gap Between Your Goals and Your Actions and How to Plan a Really Cheap Weekend Getaway. 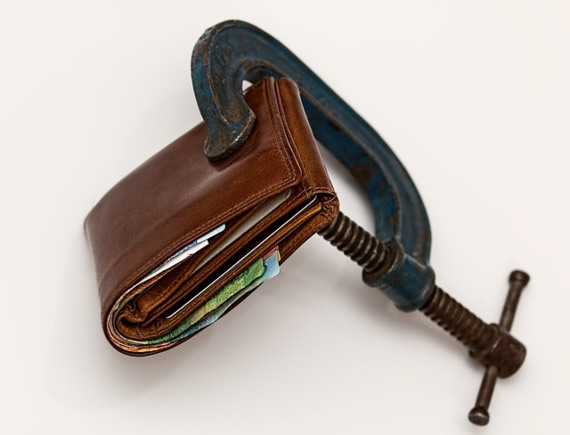 Finding it hard to get motivated to get out of debt or earn more money? This is where the story of the Financial Samurai begins. Sam Dogen was working in Corporate America waiting for that next big raise wasn’t a driving force, but finding a way to life free was motivation! What does living life free mean? It means something different to each person, but here it means spending time with family, travel and have little worry about finances. Starting the blog in 2009 it only took 3 years to make the jump from employee to self-employed. Sam’s experience shows that even if you make the right choices and invest and get educated you can still fall victim to financial disaster. He suffered financially from the financial crisis and with money no longer as a motivator; living life by his terms is what mattered most. Now he writes for his blog and is able to save and is control of his financial life, and he shares his knowledge about investing, negotiations, starting a blog, financial products and wealth management. Taking financial advise from someone who is well educated on this topic is never a bad thing, but knowing how they have personally made their success and worked through their failures is important. Why would you take financial advise from a guy behind a desk with an office? Do you know his credit score? Do you know his debt to income ratio? Nope. If you do not know someone’s ability to manage their own financial life, why would you take their advice? Tim Chen is the CEO and founder of NerdWallet, he started the site in 2009. Tim states that he has made many avoidable financial mistakes and while some mistakes cost money, others cost time. Either way sharing way to avoid making these mistakes to others was a passion of Tim’s and thus NerdWallet was started. NerdWallet now has roughly 285 employees and their site covers topics like: credit cards, banking, investing, mortgages, loans, insurance and money. Topics for each may be finding the best credit card for your situation, how to start investing or how to earn more interest with your investments. Taking the financial advise from a blogging standpoint to a full grown company with employees is quite an achievement from someone who is honest about making financial blunders. It is always good to know you can make mistakes and still find success down the road. Holly and Greg Johnson who were previously in the mortuary business founded Club Thrifty in 2012. Through hard work and by not listening to other people they pursued their goals and soon started living their dream life. Having kids and working full time jobs and working a side hustle wasn’t easy, but knowing you can only fail if you quit trying they knew that this was their ticket out of their financial struggles. It didn’t happen over night but they worked their way out of debt and soon found that living life without debt and huge interest payments you can actually afford to LIVE! Their blog’s niche is about you stop spending and start living. You can often learn a lot about how to travel on the cheap and learn about how to use credit card points to help cover the majority of your travel costs. What is exciting about this blog is that with no financial background and a family to support they were able to work together as a team and now work from home or a beach or a foreign country to support their family. The Minimalists’ founders Joshua Fields Millburn and Ryan Nicodemus started their site in 2010 after a realization that having it all, the money, the houses, the cars, the 80-work week still left them unsatisfied. They were not in control of their lives. This led them to begin taking control over their lives through minimalism. Their story didn’t start there, they are long time friends who both grew up poor and both found their lives needed change and decided to take control over their lives with minimalism. A few of their top blog posts are: New to Minimalism? Start Here, 30-Day Journey to Minimalism Game and Tour Joshua’s Minimalist Apartment. The Minimalists also have a podcast, books, films and tour to help inspire people to take control over their lives by not allowing all the ‘stuff’ to control their lives. What I like about this blog best is it speaks to how to live life and not focus on keeping up with the Jones next door. Living life as a minimalist does not mean you go without, it means you are fulfilled by other things in life other than ‘stuff’. All of these blogs have something to offer people, whether you are starting out in life right out of high school, graduating from college or are already married with kids. Take some time to find a blog that speaks to you and your financial goals in life. If you don’t like to do a ton of reading, find one that has a podcast. It is never too early or late in life to start taking control over your financial future, so start now!